Yacht GATSBY is Sunseeker 88’ Predator motor yacht that measures 26.88m (88ft) in length, built by Sunseeker in 2011. The GATSBY motor yacht has a deep blue hull with a white super structure featuring a graceful and elegant design. 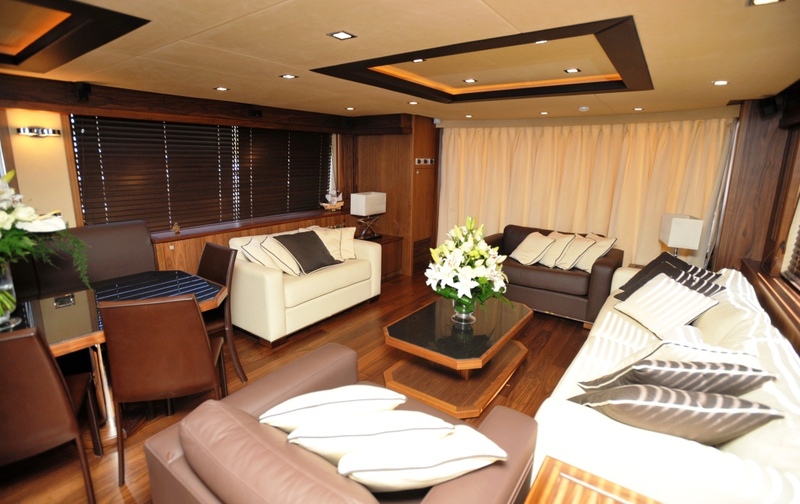 The impressive 2011 M/Y GATSBY is available for charter in the Eastern Mediterranean. Based out of Montenegro, she is able to cruise north along the stunning coastline of Croatia. 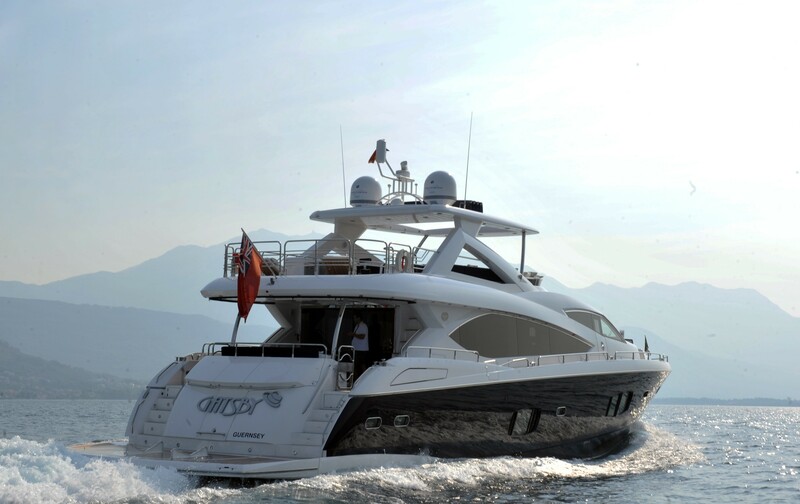 This Sunseeker 88 motor yacht GATSBY boasts a beautiful and spacious open plan salon, dining and seating area, which opens up into a sizable aft deck offering a large al fresco dining table and a comfortable seating area. 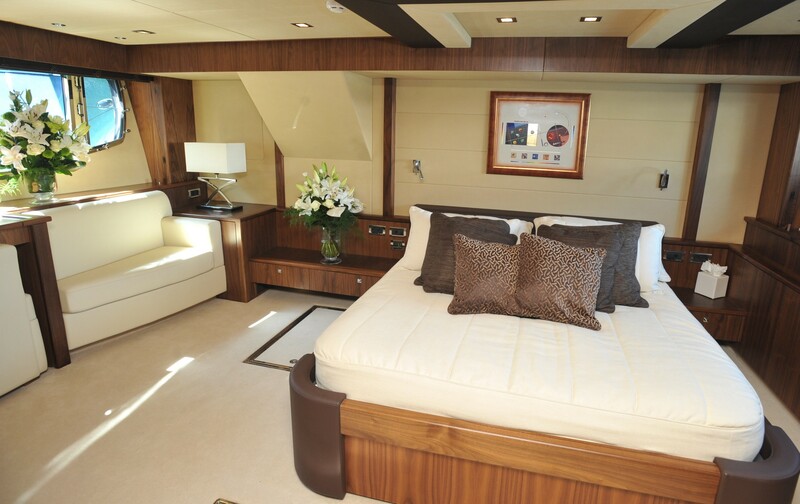 GATSBY is able to accommodate up to eight guests in four beautifully appointed ensuite cabins including one master stateroom, one VIP suite and two twin guest cabins (which can convert to doubles). 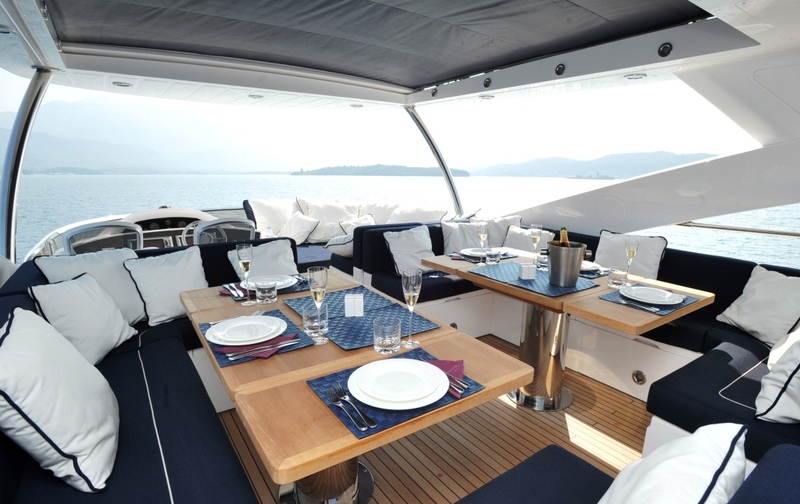 Her spacious fly bridge also provides a great spot for entertaining or relaxing with an alfresco dining table with optional shade cover and sunbeds to the aft. 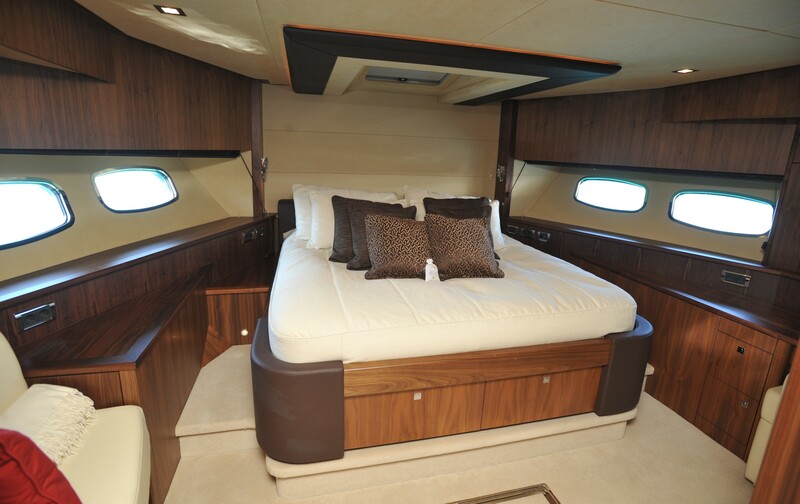 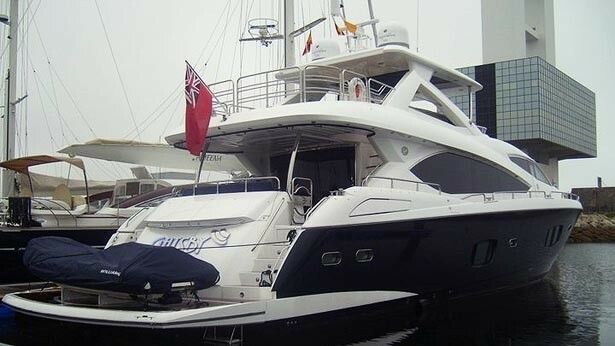 It has the advantage of an optional hard top roof, to cover the main body and sides of the flybridge. 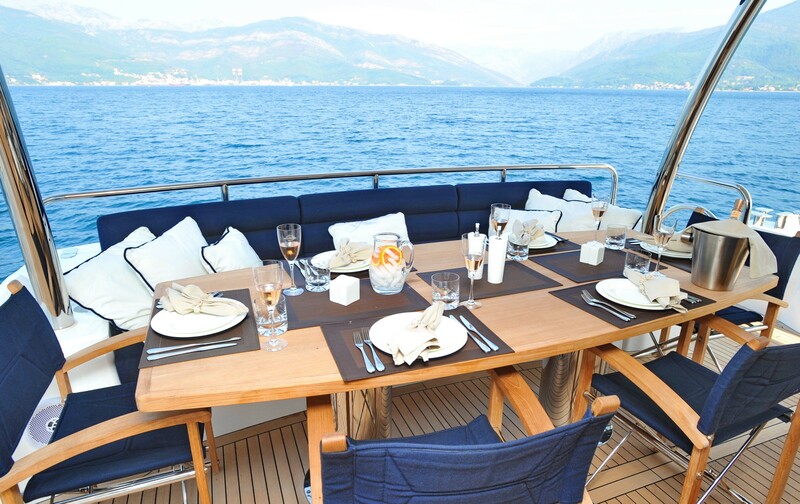 These large exterior entertaining areas are an excellent feature of the Sunseeker 88 yachts and are perfect for enjoying while on charter in Croatia. 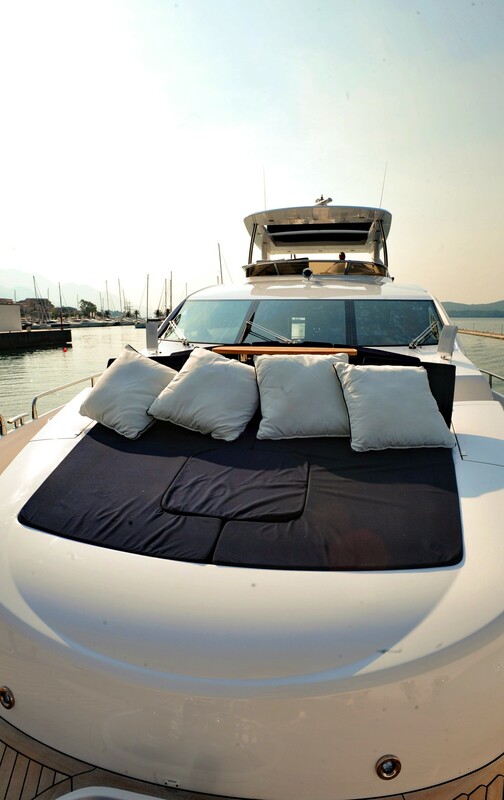 The GATSBY motor yacht has a cruising speed of around 23 knots which means she can travel quickly to her next destination, ensuring that charter clients can make the most of their time on the Croatian coastline. 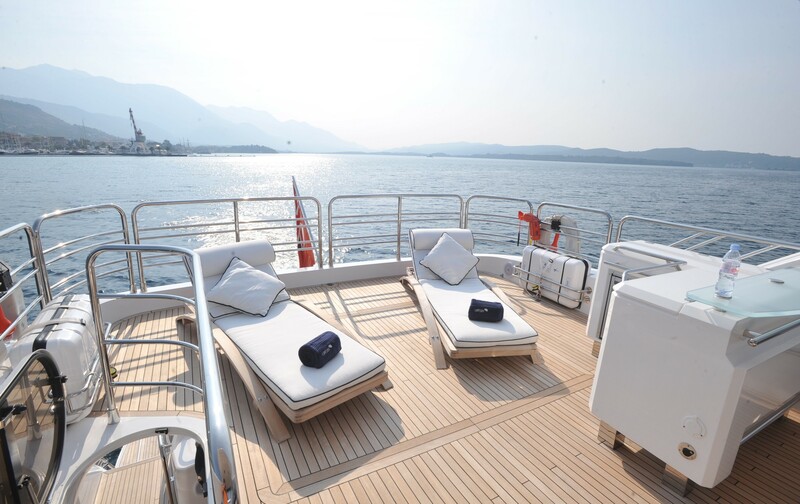 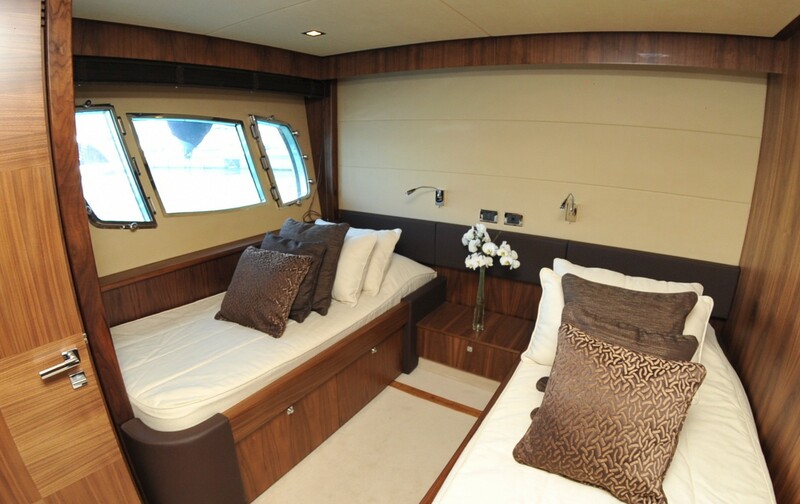 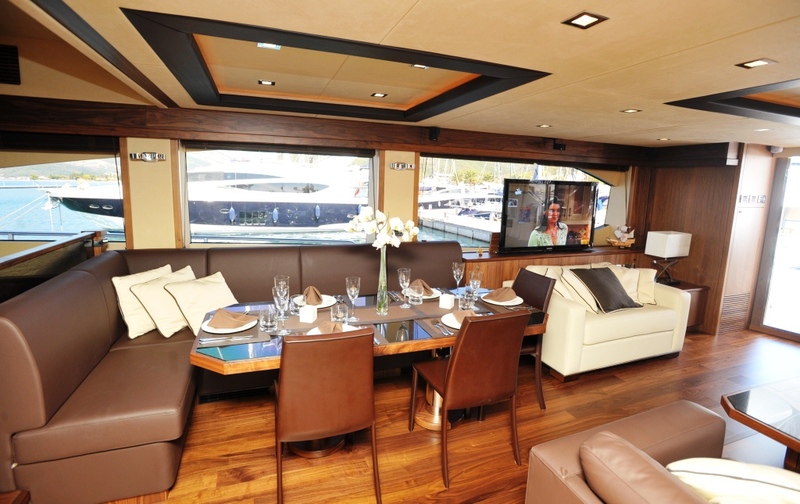 The 27 meter yacht is operated by a crew of 4, ready to welcome you onboard. 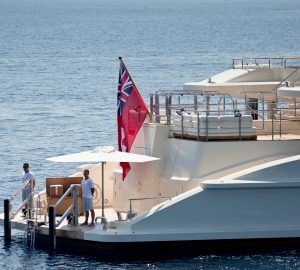 Onboard watertoys include a high-performance Williams Jet 445 tender for 6 guests and an underwater scooter (Sea Bob F7), as well as snorkeling and fishing gear. 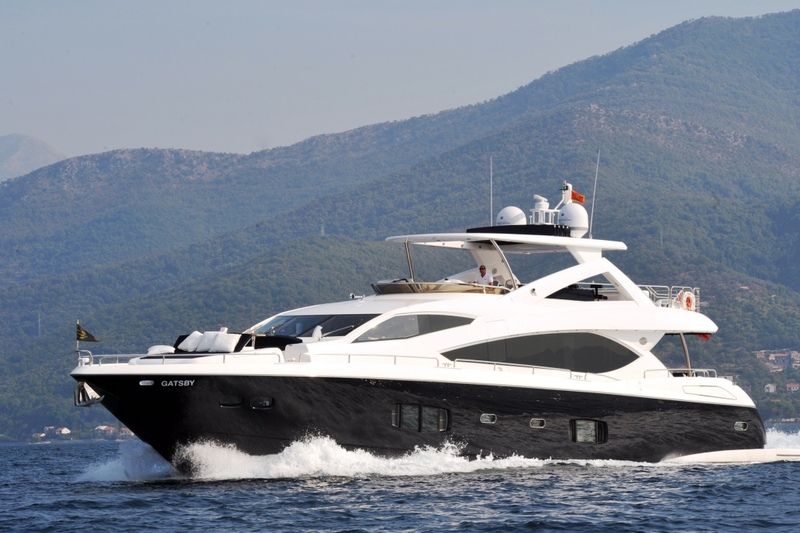 The Croatian based Sunseeker 88 GATSBY can accommodate up to eight charter guests in four beautifully appointed ensuite cabins including a master stateroom, a VIP suite and two twin guest cabins (which can convert to doubles).